Fall down the rabbit hole with the ACMI's newest exhibition "WONDERLAND" celebrating the screen history of Lewis Carroll and Alice's adventures on screen. The world premiere exhibition opening in April 2018 is part of the Victorian Government’s Melbourne Winter Masterpieces series. This adventurous display explores the enchanting world of Alice and her variant trips to Wonderland. WONDERLAND celebrates the screen history of Lewis Carroll’s timeless stories: Alice’s Adventures in Wonderland and Through the Looking Glass, and What Alice Found There; in an entirely original experiential exhibition. 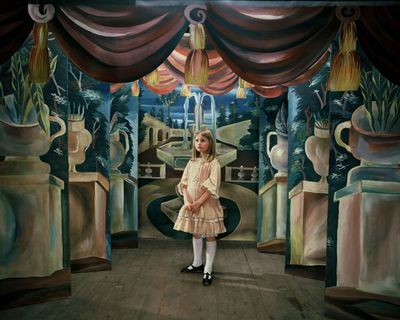 The timeless and broad appeal of Carroll's stories have enticed filmmakers since the birth of cinema, and the continuous fascination with Wonderland has seen Alice's on screen escapades evolutionise, along with the changes in cinematic technology. Carroll’s tales have been the subject of more than 40 film versions and over 30 television programs. Alice is continually represented in music videos, video games, high fashion and advertising. 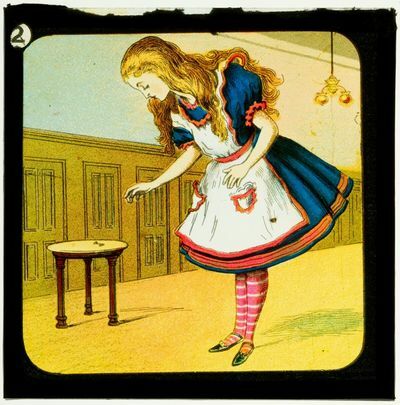 WONDERLAND will explore Alice's journey through popular culture, demonstrating how her story has been brought to life on screen for more than a century. From the first screen adaptation in 1903 to Alice Through the Looking Glass (2016), WONDERLAND will reveal the development of special effects from pre-cinematic entertainment and silent film, to animation, puppetry, live-action cinema, videogames, CGI, 3D and beyond. Get ready for WONDERLAND at ACMI, a beautiful interactive experience that will delight all ages.